Seahawks.NET - The Voice of the 12th Man! • View topic - Justice for the 96...Finally. I hope whoever is still alive and can be held responsible, is. Been a long time coming. Re: Justice for the 96...Finally. As I mentioned in the other thread, Duckenfield and most of the rest of the South Yorkshire Police Service are too old at this point to really feel the effects of any punishment. peachesenregalia wrote: As I mentioned in the other thread, Duckenfield and most of the rest of the South Yorkshire Police Service are too old at this point to really feel the effects of any punishment. and maybe putting to bed some of the bitterness that still remains from that era of football. Si, I think that photo is a bit much mate. Not having a go, just really disturbed me when I saw it. This link is for ESPN's 30 for 30 which was initially banned in the UK. peachesenregalia wrote: Si, I think that photo is a bit much mate. Not having a go, just really disturbed me when I saw it. I can pull it if you think its a good idea. That was the front page photo of most of the major US newspapers in the days after. Black and white. I remember it vividly. NJSeaHawk wrote: This link is for ESPN's 30 for 30 which was initially banned in the UK. Well, it wasn't banned for being controversial, it was banned because the jury trial was ongoing and the movie contained previously unseen footage and contained previously unaired details. The 2013 BBC documentary is linked above as well. Both are worth a watch. 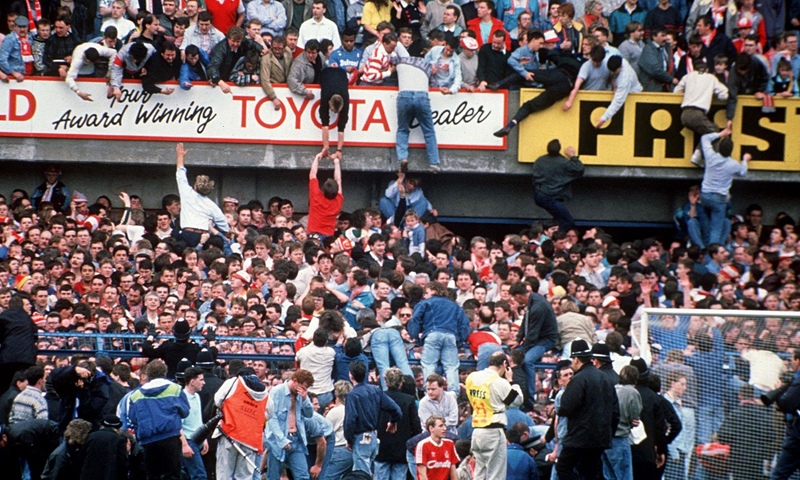 The Hillsborough 30 for 30, however, is a much more detailed and haunting documentary. It is haunting and heartbreaking. Watching as I type, stopped counting after the 5 or sixth time I cried. Still have well a half hour to go...Watching the video of one man who I assumed was the father, carrying his kid off the pitch is something I will never forget.